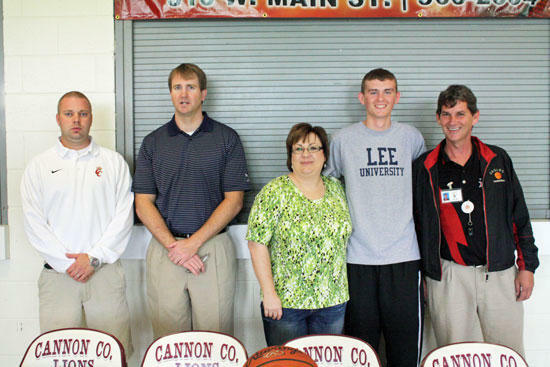 At his signing on Wednesday, May 4, Cannon County High basketball player Jared Nave was honored to have some former coaches in the audience. Angie Hutchins, who was his first coach in Jr. Pro when he was 6 years old, and his West Side coach (6th-8th), Roger Haley, along with his high school coach, Matt Rigsby, watched as he signed to become the newest member of the Lee University men's basketball team. Nave stated that he was happy and honored to have his former coaches share his day because they all contributed to the player he is today. 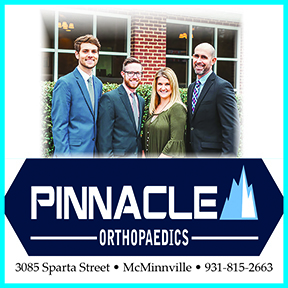 "They started me off right and I can't thank them enough."